Welcome to American Legion Post 735 the home of Medal of Honor recipient, Sal Giunta. To learn more about Sal visit our Sal Giunta page. American Legion Post 735 is part of the nation’s largest veterans service organization, committed to mentoring and sponsorship of youth programs in our communities, advocating patriotism and honor, promoting a strong national security, and continued devotion to our fellow service members and veterans. 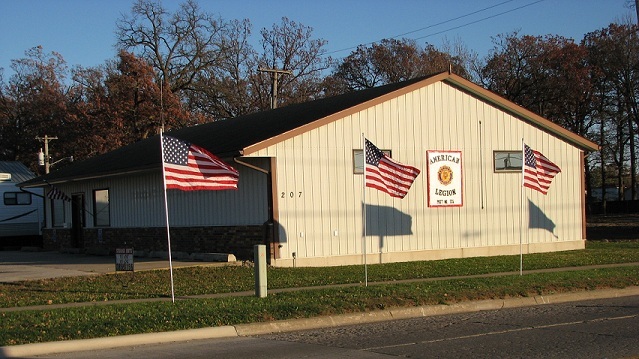 If you would like to learn more about the American Legion, the Auxiliary, or the Sons of the American Legion, check out our informational pages or contact us at 319-393-2377. Avenue of Flags 2019 - Use this form to register for Avenue of Flags. Aveune of Flags Registration Form. American Legion Post 735 Scholarship - See our Youth Programs page for the criteria. American Legion Flag Essay Contest - See our 2019 winners in the Photo Gallery page. If you want to know more about the Flag Essay Contest see our Youth Programs page.